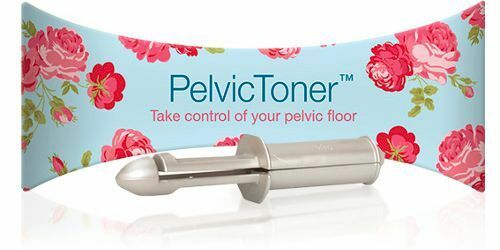 The PelvicToner is listed in the NHS Drug Tariff as an approved "pelvic toner device". This means that it is available on prescription from your GP, so you if you are eligible for free prescription, you can get a Pelvic Toner for free. Click here to find out more about getting a PelvicToner on prescription. The BUI trial of the PelvicToner examined the efficacy, acceptability and patient satisfaction of the device as a add-on to standard Pelvic Floor Muslce Treament. The trial concluded that the PelvicToner was a useful addition to the standard treatment. Specific benefits raised by trial were that it helped users to identify and exercise the correct muscles, improved motivation, sustained the benefits of the treatment and provided increased patient choice. The US trial set out to establish the potential of the PelvicToner to cure the symptoms of urinary stress incontinence. The trial showed that, on average, the resting strength increased by nearly 30%. The most stunning result was that the average active (Kegel) squeeze of the participants increased by nearly 40%. Both these findings confirm the benefit of resistance exercise and explain why users of the PelvicToner have much better bladder control and generally feel more confident and in control of functions dependent upon pelvic floor muscle tone. Since October 2016, we have asked every customer who purchased from our website to complete a feedback survey on the PelvicToner. We have been delighted by the responses.